Weddings are once in a lifetime experience; therefore most couples desire to make their wedding day unforgettable. No wonder if the list of a wedding preparation always consists of various details; one of the most significant aspects is searching for the perfect wedding bands for both of you and spouse. Thought not as difficult as getting the right engagement ring, it is still important to choose wedding bands that could flawlessly convey the love and bond between you and him. Girls, no need to waste time and even overspend, you can trust affordable jeulia jewelry collection that also offers high quality handmade bridal jewelry includes women’s wedding bands, men’s wedding bands, wedding band sets and wedding sets. It is not hard to find the various styles of cheap wedding rings at Jeulia that come to you as diamond ring alternatives. 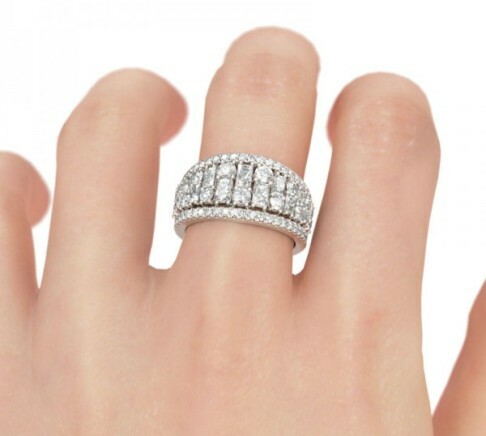 When it comes to find a woman’s wedding band, it should match her engagement ring. Your wedding ring should be made from the same metals and the same types of gemstones. Choosing wedding sets since the beginning will ease much as each set features an engagement ring and the matching wedding band. While every wedding band set consists of two wedding bands for both bride and groom; so it could be a cost-effective option. 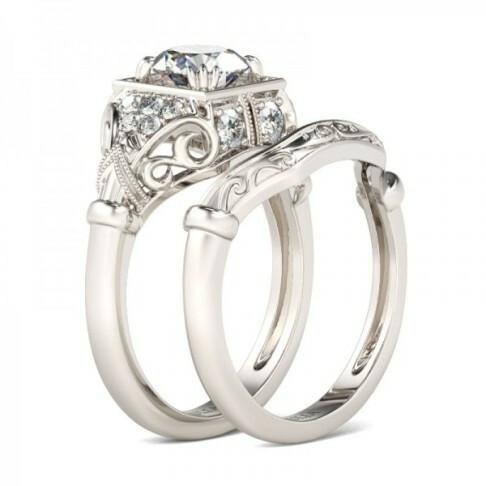 If classic solitaire rings are too common style for you, don’t worry, you can choose womens wedding rings in unique designs. For your ideas, I feature here a few pieces of vintage themed rings that I like a lot. While shopping for your unique wedding ring, pick the design that harmless and comfortable for daily wear. For example, a ring with sharp corners which embellished with very small stones is not a good choice. The right chosen wedding jewelry will make you a stunning bride. The jewelry could be created from different metals such as platinum, gold, sterling silver or titanium; they will look equally superb. Finally, what you will wear on your wedding day becomes your personal decision. As long as you shop the items at the reliable stores like Jeulia; there is no reason to worry.